Must present coupon at time of order. Excludes tires. Maximum discount $200. Some vehicles slightly higher. Toyota vehicles only. Cannot be combined with any other specials. Not valid on previous charges or with any other coupon or special. Good at Toyota of Riverside only. Must present coupon at time of order. Excludes tires. Maximum discount $200. Some vehicles slightly higher. Toyota vehicles only. Cannot be combined with any other specials. Not valid on previous charges or with any other coupon or special. Good at Toyota of Riverside only. Do you drive on dusty roads? Or park under shade trees? Do you sit in gridlock amid idling cars and exhaust fumes? An air-conditioning refresher service will clean the inside of the ventilation system of dust, pollen, and odor causing bacteria. Our proprietary power foam cleansing formula permeates the air-conditioner’s evaporator compartment and flushes away contaminants to ensure a clean, fresh smell from the Vents. This service is recommended by Toyota twice a year to keep the ventilation system free from odor-causing agents. Some vehicles slightly higher. Toyota vehicles only. Cannot be combined with any other specials. Not valid on previous charges or with any other coupon or special. 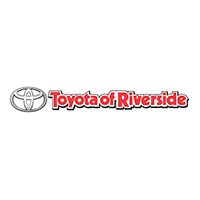 Good at Toyota of Riverside only. Expires 4/30/19. Must present coupon at time of order. Some vehicles slightly higher. Toyota vehicles only. Cannot be combined with any other specials. Not valid on previous charges or with any other coupon or special. Good at Toyota of Riverside only. Expires 4/30/19. Additional Charge for 1LB of Freon or more. Must present coupon at the time of order. May not be used in conjunction with any other specials. May not be used on previous charges. One to a customer and household. One to a transaction, Price good for service described above. No Substitutions on services at this price. Toyota's Only. Inspections are visual only. Expires4/30/19. Additional Charge for 1LB of Freon or more. Must present coupon at the time of order. May not be used in conjunction with any other specials. May not be used on previous charges. One to a customer and household. One to a transaction, Price good for service described above. No Substitutions on services at this price. Toyota's Only. Inspections are visual only. Expires4/30/19. Must present coupon at time of order. See Service Department For Details. May not be used in conjunction with any other specials. May not be used on previous charges. One to a customer. One to a transaction. Price good for service described above. No substitutions on services at this price. Toyotas only. Inspections are visual only. See Service Department For Details. See Dealer for distance details and limitations. With Service Repair Work of $299 OR MORE. May not be used in conjunction with any other specials. May not be used on previous charges. One to a customer. One to a transaction. Price good for service described above. No substitutions on services at this price. Toyotas only. Inspections are visual only. Must present coupon at time of order. May not be used in conjunction with any other specials. May not be used on previous charges. One to a customer. One to a transaction. Price good for service described above. No substitutions on services at this price. Toyotas only. Inspections are visual only. Expires 4/30/19./19. RECOMMENDED EVERY 30,000 MILES OR 36 MONTHS, WHICHEVER COMES FIRST. RECOMMENDED EVERY 5,000 MILES OR 6 MONTHS, WHICHEVER COMES FIRST. Trucks & SUV’s higher. Must present coupon at time of order. Not valid on previous charges or with any other coupon or special. Good at Toyota of Riverside only. Expires 4/30/19. Helps remove power-robbing carbon and can optimize mileage and power. Come in Tuesday Through Wednesday for This Money Saving Special! Must br Present at the time of Order. Excludes Tires. Maximum Discount $200. Must br Present at the time of Order. Excludes Tires. Maximum Discount $200. Some vehicles slightly higher. Toyota Vehicles Only. Cannot Be combined with any other specials. Not Valid on Previous Charges or with any other coupon or special. Good at Toyota of Riverside Only. Expires 4/30/19. coupon or special. Good at Toyota of Riverside only. Expires 4/30/19. May not be used in conjunction with any other specials. May not be used on previous charges. One to a customer. One to a transaction. Price good for service described above. No substitutions on services at this price. Inspection of rotors/drums, calipers & cylinders (brake pads & shoes for wear) Report of brake system condition & estimate of repair cost. service described above. No substitutions on services at this price. -Improves performance and eliminates corrosive moisture. Toyotas only. Inspections are visual only. Expires 4/30/19. Must present coupon at time of order. May not be used in conjunction with any other specials. May not be used on previous charges. One to a customer. One to a transaction. Price good for service described above. No substitutions on services at this price. Toyotas only. Inspections are visual only. Expires 4/30/19. • A complete refill with fresh, clean fluid. May not be used in conjunction with any other specials. May not be used on previous charges. One to a customer. One to a transaction. Price good for service described above. No substitutions on services at this price. Toyotas only. Inspections are visual only. Expires 4/30/19. freezing and premature cooling-system corrosion.